Biblical City in Mourning After Bloody Weekend of Terror - Breaking Israel News | Latest News. Biblical Perspective. Once again, Israel is reeling from attacks too terrible to absorb as the focus of terror shifts to Hebron, the holy city of the Cave of the Patriarchs. In two days, two Jews were killed by Palestinian terrorists in the hills of Hebron: a 13-year-old girl was murdered while she slept on Thursday, and a father of ten, a rabbi with hundreds of students, was killed after Palestinian gunmen targeted his family’s car on Friday, before the Sabbath. Hallel Yafa Ariel, a young teenager with dual US-Israeli citizenship, was stabbed to death Thursday morning in Kiryat Arba, the Jewish community adjacent to Hebron. She was killed as she lay sleeping in her bed by Mohammed Taraireh, a 17-year-old Palestinian from Bani Naim. Hallel was on summer vacation, having just finished 8th grade. Tareirah climbed the security fence at 8:44 AM and was spotted immediately by security cameras. Tragically, by the time the security team arrived at the scene, Tareirah had already entered the Ariel house through a window and stabbed Hallel dozens of times, ending her life. A member of the civilian Rapid Response Team shot and killed Tareirah. Another member of the team, Yehoshua Gilboa, was severely injured by bullet shrapnel to his upper body and lost his right eye. Hallel’s funeral on Thursday evening in the ancient Jewish Cemetery in Hebron was attended by thousands, including several government ministers and prominent rabbis. The terrorist’s mother quickly appeared in a video circulated on social media, praising her son’s actions and calling him a “shahid” (martyr). 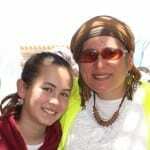 Rina Ariel, Hallel’s mother, addressed the mother of Tareirah in her eulogy for her daughter. “I am standing here with a heart filled with pain and I am turning to you, the Arab mother, the Muslim who sent your son out to stab. I raised my daughter with love, but you and the Arab Muslim educators, you taught him to hate. Go, put your house in order,” she said tearfully. The IDF arrested Tareirah’s sister on Saturday night, charging that she knew of his intentions to commit a terror attack and did nothing to stop him. After Hallel’s murder, Tareirah’s sister appeared on Palestinian television, praising her brother’s actions. In a Channel 2 television interview on Saturday, Israel’s Minister of Public Security, Gilad Erdan, stated that “some of the blood of those who have been murdered, including in the latest attacks, of Hallel,” was on the hands of Facebook CEO Mark Zuckerburg. Erdan has frequently criticized the social network platform for allowing anti-Israel and inciting material to go unchecked on their site. Tareirah made several posts on his Facebook page prior to the attack, announcing his wish to become a shahid and praising attacks against Israelis. Shahid is high praise in the Palestinian terror network, indicating someone who has died while killing an Israeli. 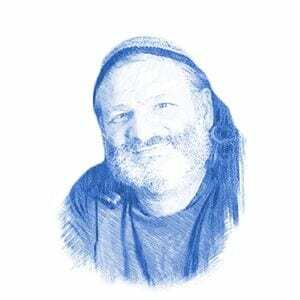 Less than one day after Hallel was laid to rest, Israel was rocked by another tragedy. On Friday afternoon, a vehicle carrying Palestinian terrorists overtook two Israeli vehicles on Route 60 south of Hebron. They opened fire, hitting the vehicles with dozens of bullets and causing one to overturn. The father in the vehicle, Michael ‘Miki’ Mark, a 48-year-old father of ten, was killed. His wife, Hava, is in serious condition with head injuries. Their son, 15, suffered light injuries and their daughter, 14, suffered serious-to-moderate injuries. The IDF arrested several suspects in the murder on Saturday, but it is believed the killers are still at large. 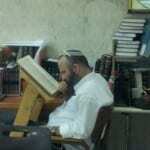 Rabbi Mark had been the head of the yeshiva (seminary) at Otniel, where his family lives. 7,000 people attended the rabbi’s funeral on Sunday at Har Menuhot Cemetery in Jerusalem. Rabbi Yehudah Glick, the newest Likud Member of Knesset, hails from the same Jewish community as the Mark family; the two families are close. He arrived at the scene just a few minutes after the attack. Otniel has been a target for terror before. In January, a terrorist infiltrated the Jewish community and attacked Dafna Meir, a mother of 6, in the doorway to her home, brutally killing her. Glick warned that Israel would stay strong. “You shouldn’t confuse our love of man, our hopes for peace, for weakness or confusion,” he said. “With one hand we build the walls of Jerusalem, the city of peace, and with the other hand we hold a sword and fight to the death with those cursed evil ones, those who desire to drive us out from our beloved land.